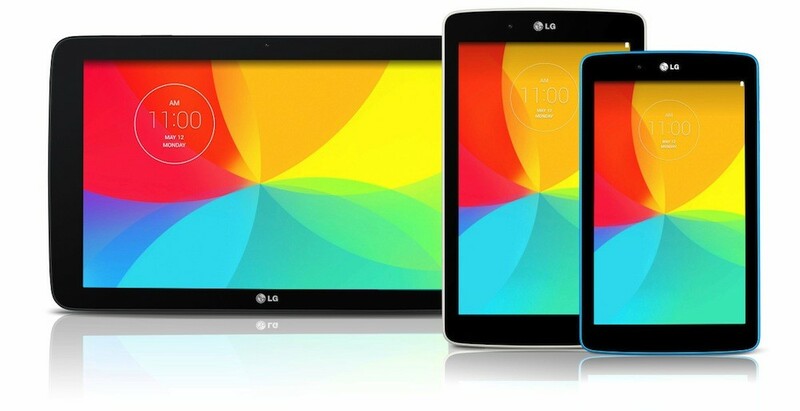 LG has announced that it is expanding its tablet line-up with three new offerings that will be officially unveiled at MedPI 2014, which takes place in Monaco between May 13th and 16th. The G Pad 7.0 is being billed as an "on-the-go entertainment hub" and the company's smallest tablet to date. LG calls the 8-inch version an immersive multimedia device with smooth multitasking, and boasts about he 10-inch version's large display and extended battery life. Not much is known about the particular specs of the new tablets, but many expect to see similar internals as Samsung's current 8.3-inch G Pad. The three new Android devices known as G Pad 7.0, 8.0, and 10.1, will share similar features as LG's smartphone products as well like Knock Code, which allow users to unlock their device by tapping out custom created patterns on the display. They will also come come with the QPair 2.0 tech that was first introduced with G Pad 8.3 and allows users to seamlessly connect their smartphone to a G Pad. Other than that, LG is being pretty tight lipped about further details on the new tabs, we haven't received any pricing or release info as of yet either.